 The following links take you directly to organised dolphin watching activities and gifts such as adopting a dolphin where the recipient will receive a cuddly dolphin toy, an animal fact booklet, photograph of their adopted dolphin, a personalised certificate, a screensaver and green tips information. The nearest organised activity for the North East of Scotland is in Buckie Harbour, Buckie, Morayshire, just outside Aberdeenshire. From the picturesque harbour you will be taken by boat by an experienced seaman and fisherman onto the beautiful Moray Firth. The boat trip is worth it alone for the relaxing atmosphere and scenery. As the sea gently laps against the boat you'll soon be joined by our aquatic friendly dolphins who will chirrup away and dance in the water alongside the boat as they play together in the water. These Bottlenose Dolphins who live in the Firth are often joined by local harbour porpoises and seals. Do look out to the nearby rocks to see many a seal basking in the sun. Other mammals you may see on your trip are the minke whale or well as the common and grey seal. Those who buy the gift experience may also receive a Gemini Explorer T-Shirt as a souvenir of the trip. Do remember to bring your camera to take some stunning photos and pictures of your day out. The boatman is more than happy to take photographs for couples and families. In 2014 there will be 50 uniquely painted Wild Dolphins Sculptures forming a special trail around the City. Trips are available from March through to October, each day of the week. You should allow 2� hours for your boat trip. Allow about one hour for your journey to Buckie from Aberdeen. Take the A90. Then at the Great Northern Road roundabout take the first exit onto the A96, this is signposted Inverness Airport. Continue on the A96 for about 52 miles - you will soon pick up directions and mileage to Buckie. At Fochabers there is a small roundabout. Take the A98 and head to Arradoul. Be ready to turn left onto the A942. This brings you to the town of Buckie where you can pick up the easy to follow signs to the harbour. Playful dolphins can be seen in the summer months at Aberdeen Harbour and in isolated inlets like the warmer summer sea around Cruden Bay in Aberdeenshire. These are commonly bottlenose dolphins and are usually in social groups or Dolphin Pods. Many like to swim alongside the ships entering Aberdeen Harbour, riding their bow-waves. Others give spectators a free show by performing acrobatic somersaults from the water into the air. Torry Battery is a good viewing point to see the bottlenose dolphins particularly in winter and between April and May. The dolphins at Aberdeen harbour are mainly from the Moray Firth. It takes the dolphins about 2 hours to get from Cullen to Aberdeen, tracked by the Friends of the Moray Firth Dolphins. They were often seen from the P&O ferries to Shetland being picked up at Fraserburgh and staying with the ship to Aberdeen. The other dolphins are reportedly from Stonehaven and Montrose. In February 2010 a dolphin was sighted and photographed in the River Tay at Perth, Scotland. This seems to be the first of the pod of bottlenose dolphins to have travelled upriver which experts think may have been in the search of food or chasing salmon. This River Tay dolphin was spotted by anglers of Willowgate Fishery at Friarton Bridge. Dr David Lusseau, a zoologist from the Aberdeen University, studied dolphins and in 2009 he released details of the dolphin language. For example in dolphin language a dolphin will flip into the air from the water as a sign to its pod members that they should go to a new are. When a dolphin wants to use its special sign language to indicate a good area for feeding it will rise out of the water, roll onto its back and flap its tails. Dr David Lusseau conducted his research on dolphin language with his colleague physicist Dr Ramon Ferrer i Cancho of the Catalonia Polytechnic in Spain. They studied bottlenose dolphins off the Fiordland coast of New Zealand. Their findings were published in the research journal Complexity. During the warmer summer months of July and August the white beaked dolphin and minke whales visit the East Grampian coastline. The Sea Watch Foundation at www.seawatchfoundation.org.uk consider Aberdeenshire and in particular the area of the Torry battery as probably the best area in the UK, if not Europe, for viewing these stunning dolphins from the land. The last two years have also seen the appearance of rissos dolphins into this area and from a single sighting in 2005, this has increased slowly to six sightings already this year. Indeed, on the return leg of the Shetland ferry last Saturday morning, we encountered sixty five plus white beaked dolphins and five rissos dolphins just 3 miles off Balmedie beach and this location is the seventh time out of twelve encounters that they have been seen in this particular area. There were 10 animals there at the end of July. As well as the bottlenosed dolphins Aberdeen can become home to porpoises in the summer months. Many can be seen around the waters of Aberdeen beach and in and around the harbour areas. These can be easily identified from the bottlenose dolphins because they are smaller, less playful and will only show their back and dorsal fins above the water line. The make a great deal of noise when they come to the surface to breathe. For this reason they are nicknamed Puffing Pigs. The porpoises of Aberdeen harbour are attracted to the area by the abundance of sandeel which are part of their staple diet. Unfortunately though global warming seems to have caused a decline in sand eel so some porpoises are sadly dying of starvation. Sandeels prefer colder waters and the global warming is causing the North Sea to warm up. In the 1990s about 5% of Aberdeenshire porpoises died of starvation and sadly this has risen to about 30% of those found dead on our shores. Though there are about 120,000 porpoises in the North Sea and about 350,000 harbour porpoises throughout the UK it is thought that this number will decline because of global warming. Though other species who had predominately fed on sand eels have adapted their diet because of this climate change it seems that the poor porpoise has not. More Wildlife of Aberdeen and places to visit. In October 2009 the body of a 30ft sperm stranded whale was washed ashore at Balmedie beach. Several years earlier the body of a stranded whale was washed into Cruden Bay harbour. It was thought that the dead sperm whale, which are rarely seen in the North East of Scotland, had died of respiratory problems. Coastguards and Grampian Police warn locals not to approach the stranded whale carcass because of potential diseases. Sadly though this did not deter some souvenir hunters trying to remove the teeth from the dead whale. The stranded whale was lifted by mobile crane and taken by lorry to be buried at Stoneyhill landfill in Longhaven, Aberdeenshire. On Thursday 2 August 2007 a minke whale was stranded in Fraserborough Harbour in Aberdeenshire Scotland. It is thought that the minke whale followed a trawler fishing boat into Fraserburgh Harbour after becoming separated from its mother. For several days the Fraserburgh Harbour minke whale swam around in circles in the Balaclava Basin. Experts from the nearby Cetacean Research and Rescue Unit at Gardenstown tried to guide the young minke whale where its mother had been circling in the North Sea. Many people came to Fraserburgh harbour to watch the minke whale and one man was charged with a breach of the peace by the police. He had stripped to his boxer shorts and jumped into the harbour from a berthed trawler boat near to where the minke whale was swimming and swam for 30 minutes before being pulled out of the water by a policeman. News reports in the summer of 2007 have seen an increase in sightings of common dolphins in Scotland. Scientists think this is because the North Sea is getting warmer and so the common dolphin are being sighted in areas of Scotland like the Moray Firth. A school of over 300 common dolphins were spotted in the North East of Scotland waters which was thought to be because of global warming. There were seen by Cetacean Research and Rescue Unit who are based in Gardenstown in Aberdeenshire and Earthwatch, the environmental charity. It is unsure at this early stage what the impact of new breeds of dolphins coming into Scottish waters will be. For example new mammals may generate competition for prey. The common dolphins are usually seen in the warmer waters of Cornwall and the West coast but are now travelling further afield due to rising sea temperatures. During the annual sea watch week in 2007 by the Sea Watch Foundation there were three minke whales spotted off the Stonehaven Aberdeenshire coast on the 27 June 2007. The minke whale is usually a solitary mammal and seeing a group of three together was rare. A lone minke whale was also spotted on the 24June 2007 by Stonehaven. Other sea mammals spotted during the 2007 annual sea watch were bottlenose dolphins and porpoises. Other parts of Scottish waters even saw a sighting of a killer whale. This formation was collected by members of the public and the information is collated by marine biologists. The Sea Watch Foundation have an adopt a dolphin scheme. In August 2007 a Mako shark was thought to have been sighted near to Aberdeen by an oil worker. Lance Baldwin, a rig safety worker, even managed to capture what he thought was a Mako shark swimming in the North Sea on his remote controlled underwater camera. The rig worker had initially thought the Mako shark was a Great White shark when he was working at the BP ULA platform. The Mako shark was swimming about 100 feet below the surface at just under 300 miles from shore and was about 10ft long. It was also seen by fellow crew man Scott Munro on the rig's camera. Fortunately there were no divers working in the waters at the time. However shark experts identified the picture as a Porbeagle shark from the white patch at the base of the dorsal fin. The Aberdeen association with dolphins continued in 2007 when Aberdeen University graduate and Colombian conservationist Doctor Fernando Trujillo won the UK conservation prize of the 2007 Whitley Award and the Whitley Gold Award for his work to save the South America pink river dolphin. The Whitley awards were sponsored by HSBC Holdings. Dr Fernando Trujillo set up the Omacha Foundation conservation programme in Columbia along the Amazon River and its tributaries in Bolivia, Per� and Ecuador. Along with the prestigious awards Dr Fernando Trujillo won funding worth �60,000 for two years. 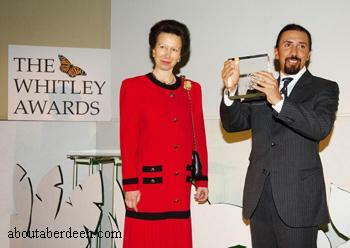 He is pictured below receiving his award from Her Royal Highness Princess Anne The Princess Royal at London's Royal Geographical Society. Sir David Attenborough was also at the ceremony. The pink river dolphin are one of the world's most endangered cetaceans. This is made much worse because local fishermen kill the pink river dolphin to use as fishing bait on fishing trips in Colombia to catch scavenger fish like the catfish. The Pink River Dolphins are endemic to the Amazon and Orinoco basins. Doctor Fernando Trujillo has been studying the pink river dolphins in Columbia for over 20 years. He studied a PhD under Professor Paul Thompson at the Lighthouse Field Station at Aberdeen University, Scotland between the years 1997 and 2000. He received funding from the British Council. Supporters of The Omacha Foundation in Columbia include the Whale and Dolphin Conservation Society and the World Wide Fund for Nature (WWF). WDCS River dolphin project. Marine biologists witnessed bottlenosed dolphins of the coast of Wales at Cardigan Bay in what looked like playing football with a Barrel jellyfish as the ball in October 2009. Swimming under the jellyfish the dolphins then used its tail to whack the jellyfish out of the water. 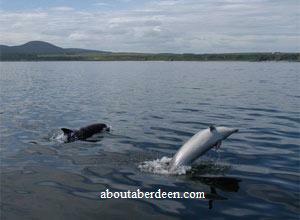 Watching Dolphin in Scotland can also take place in the Hebrides where there is a small colony of bottlenose dolphins. These west coast of Scotland dolphins can often be glimpsed by the Sound of Barra on the Outer Hebrides and at the Isle of Skye in the Inner Hebrides of Scotland. More information about dolphin Scotland sightings can be read at the Hebridean Whale and Dolphin Trust website hwdt.org and at whaledolphintrust.co.uk where there are details of the latest dolphin sightings throughout the UK as well as where to watch dolphins in Aberdeen Scotland.